Technical solutions are being tested and demonstrated in DOLL, Europe's largest and leading test facility for outdoor lighting and smart city solutions. Albertslund Municipality, DTU and Gate 21 have created the DOLL Living Lab, a national testing facility for energy and resource-efficient lighting and urban space solutions. DOLL has helped to solve one of the biggest challenges within the smart city field: communicating different solutions across manufacturers and product groups. DOLL’s primary focus is the intelligent use of LED lighting, where projects have a total expected CO2 saving of 100,000 tonnes compared to traditional lighting. At project level, DOLL can document very precise savings, however, its unique value lies in its ability not only to enable technologies to communicate, but to create cooperation and innovation between the many projects and partners. This means that DOLL’s real contribution emerges when multiple technologies are implemented together, creating synergies and strong holistic effects. DOLL cooperates locally, nationally and globally and is visited by 1,500 guests annually. Two thirds of Denmark’s municipalities have visited DOLL, which guides other municipalities on how to identify and develop the best solutions to a specific societal context and helps them to make the best-qualified decisions on development, implementation and investment. Spread over 12 kilometers of roads and paths, technological solutions are tested on a 1:1 scale in the internationally recognized DOLL Living Lab. 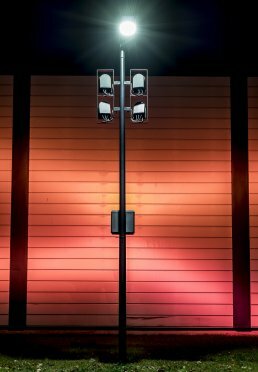 DOLL encourages street lighting manufacturers to develop intelligent products with network infrastructure which can house intelligent city management technology. By switching to LED street lighting, municipalities can cut energy use by around 50% and a further 25% by making bulbs smarter. Lighting can also be used to improve general safety. In addition to the project enabling a 75% cut to energy consumption from street lighting, DOLL works with intelligent waste management for visualizing resource consumption.